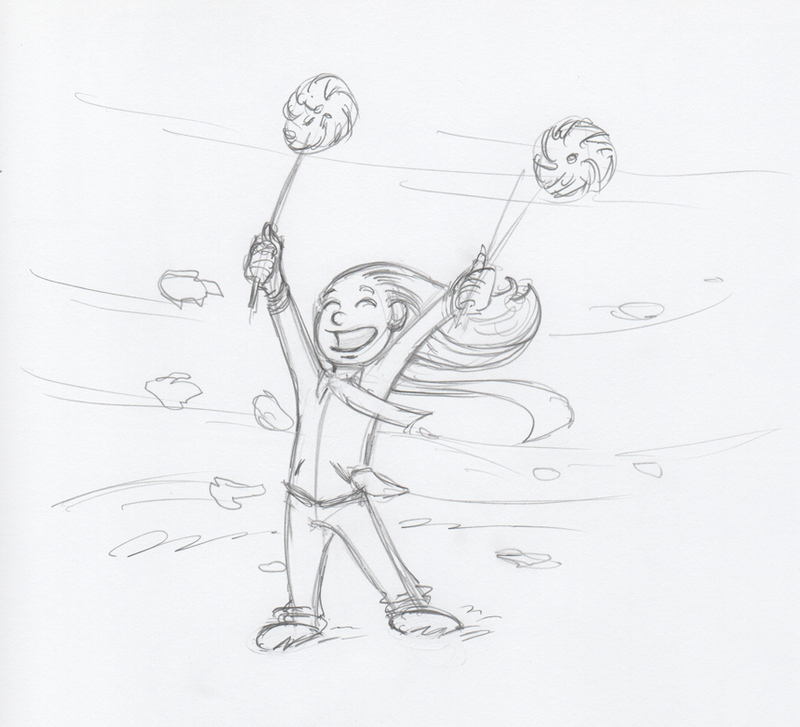 In the inking phase, I decided that instead of loose ‘gusty’ wind lines, I would ink bands of the sky behind her that look reminiscent of wind, but not in the traditional sense. This also allowed me to give the sky an interesting look when painting it. I chose sort of warm pastel colors, with a couple slightly cool ones in there. My final touch was to add white lines for some extra wind, and to help sell the idea that the pinwheels are actually spinning around. I really enjoyed working on this piece and am pleased with how it turned out. 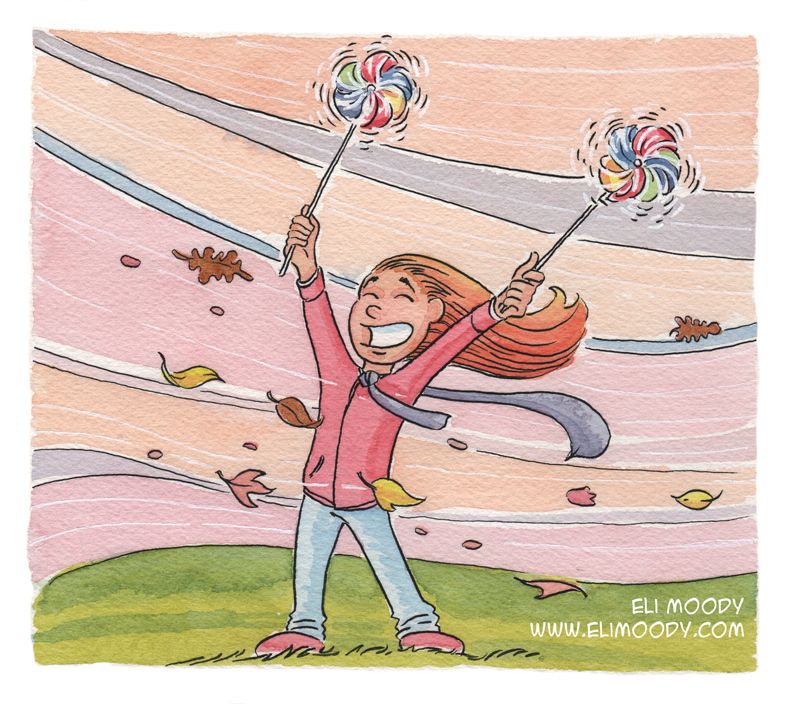 This entry was posted in illustration and tagged eli moody, girl, humans, illustration, pen and ink, pinwheels, watercolor, wind. Bookmark the permalink.